A gay Christian with a lot of thoughts. For starters, my name is Missa Borah. I'm a 21 year old senior at Eastern Illinois University where I'm studying Political Science and minoring in journalism (because you can't minor in Netflix). 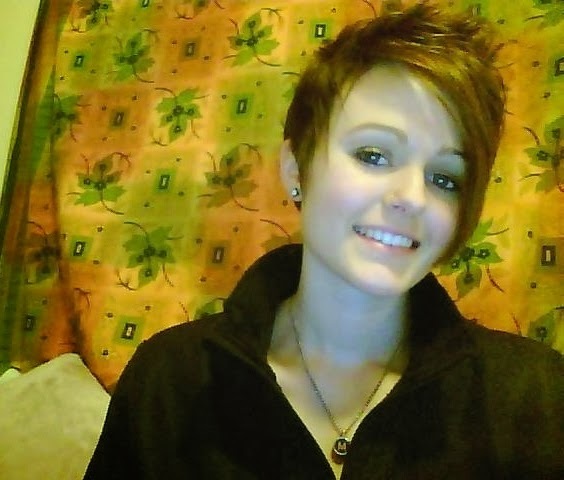 I've been gay my entire life, but only out for about six years. I'm also a Christian. Yes, you heard that right. I'm a huge, walking oxymoron. But I've learned to be okay with that. I hope after reading my blog you'll see why and learn to be okay with it too. Growing up I tried to be exactly who God wanted me to be. I grew up listening to Adventures in Odyssey, going to VBS, and reading all of my Bible story books. As a young kid I always felt God's presence in my life, and a strong a sense of purpose. I couldn't wait to see how God was going to use me, and I was ready for anything! I feel like it's also relevant to note here that my mom home schooled me and my two siblings, so we were a very close family. When I was 13 years old I remember a specific time (in the shower) when I thought to myself, "It's so unfair that I have to marry a boy. I wish there was a thing where girls could marry each other..."
DING DING DING! I was gay. At first I was almost excited about it. Finally God was giving me my first real mission. I would battle this demon and I would win. I would be the perfect ex-gay child, and my story would reach millions! I remember telling God that I would do whatever it took to "fix" this. The next few years were a blur of hiding in the closet while trying to stay as active in my faith as I possibly could. I found ex-gay websites, I read articles, I read my Bible, I prayed every day, I even got a boyfriend. But I was seeing absolutely no progress. HELLO GOD? YOU STILL THERE? I'M STILL PRETTY GAY DOWN HERE! I had done too much without even a sliver of hope. Even the ex-gay people I had read about or talked to said that every day was a constant struggle. So I was never going to be fixed? Suddenly all of those great things I envisioned myself doing for God were over. I was broken. Something had gone wrong, or I was too weak for God to ever use me. I was never going to be okay in God's eyes, and people, let alone Christians, were never going to listen to me or take me seriously. So around my junior year of high school, after about three years of trying to "pray the gay away," I had the realization that I couldn't be both gay AND a Christian. I had to pick one. Because I obviously was never going to stop being gay, my choice was pretty clear. I immediately stopped going to church, stopped reading my Bible, stopped hanging out with my christian friends, and started living as an openly gay person. An openly gay, non-religious person. I was out to everyone but my parents. This transition was hard, but I felt too betrayed by God to feel any remorse. Little did I know, this was the best thing that I could have done. It took me stepping far, far away from the church, and the Christians, and the books, to really hear what God was trying to say to me the entire time. I was so focused on fixing my "problem" that I never even took the time to ask God if it was a problem in the first place. After about a year of living my life as a gay ex-Christian, I started reading my bible and praying again. This time I did it without all of the distractions I had before. I'll share more about what God revealed to me in later posts, but basically I learned during that time that God had never intended for me to hate myself, he never intended for me to feel broken, or wrong, or gross. I was His child and He made me exactly the way I was, and He loved me even more for it. Ok God, that's gonna go over GREAT with the church. I guess I had a lot of work to do. 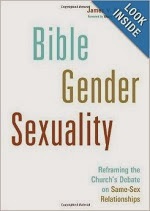 I came out to my parents when I was 18, and while they were still stuck in their conservative Christian ideas, they were willing to work with me and learn more about this. 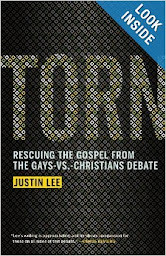 We found the book Torn: Rescuing the Gospel from the Gays-vs-Christians Debate by Justin Lee which was a huge game changer for my family. It was everything God had shown to me, but written out in an organized, beautiful way by an actual writer. This book was a godsend. Through it my parents and I discovered an organization called The Gay Christian Network. Apparently there were more people out there like me! More people who were a living, breathing oxymoron. The organization holds a conference every year, so we immediately signed up to go. "You still have a very important purpose. I'm not going to use you in spite of you being gay, I'm going to use you because you're gay." I think sometimes the church does a great job of muffling God. We are all so convinced that we know exactly what the Bible is saying and what God wants that we forget to stop listening to each other and start listening to Him. Thanks again for reading my blog. I pray that God can use me to be a voice for the hundreds of people who may be too scared to be the perfect, fabulous people God created them to be. This is well done, and I look forward to more of your posts. Thank you! Thank you for your words, wonderfully written. I can tell you have a heart for God and look forward to seeing God use you as you grow. Good luck with your blog! beautifully written darling girl! and yes sometimes it takes stepping away from church and church people and the distractions and expectations to really see and hear God. the church can change one heart at a time. you go girl! Missa, I look forward to many more posts! I just met your mom on FB and we have much in common (Specifically time on staff with Cru.) I also have a 20 year old gay son who we love very much. Unfortunately, he has totally walked away from Jesus. So feel free to pray for him. :) "Torn" was the game-changer for me as well! And I am determined to go to the GCN conference next year!!! Wow, I am so encouraged and grateful for all of your support. Hopefully together we can make things happen. "God's world is so much bigger than we keep thinking." What a powerful statement! I look forward to many more of your blogs. This was great! Awesome..!! You're a real inspiration Missa... I will share your story with all of my LGBT friends.. Thanks for standing up for yourself and for God, now that we know WE can stand by you.! Thank you so much Mark! I hope to reach out to as many LGBT friends and supporters as I can. The gay christian community can be a very isolated place. This is wonderful. Thank you for sharing your story. I understand it too well. I'm so glad you found the GCN. I haven't made it to a conference yet, but I'm sure hoping to soon! I hope you keep writing, you are very well spoken. Great stuff, Missa! Thank you for sharing. Looking forward to hearing more. Such a great blog, I have a similar story and I just came out a year ago....I have so much to tell and share about how God set me free from the lies of religion. I hope we can talk some day soon and share it!! Good stuff here, Missa! There were so many of us moms at conference this year! It was my third conference and I'm praising God for two things -- GCN and for opening the eyes of my heart. I praise God for that too! My hope and prayer is someday my daughter will be able to fully come back to her faith as well. I liked that you said it was the best thing you could have done to allow yourself to be angry at God. I know my daughter is working through her anger as well, and I need to not be afraid of that. Thank you for your courageous voice of encouragement. I'm sorry to hear that about your daughter. I can fully relate to her, because I am still working through some of my resentment towards the church. The best thing you can do is love her and remind her that people who "represent" God have gotten so many things wrong in the past. And God doesn't have a checklist of people He won't accept. Praying for you and your daughter! I understand that God loves all regardless of the choices they make, whether they are gay or straight. I am curious however, do you consider yourself living in sin by being gay? Just because He loves us all the same doesn't mean he doesn't consider certain choices sinful ones. I'd be curious to hear your thoughts on that. Romans 8:31 "If God is for us, who can be against us?"